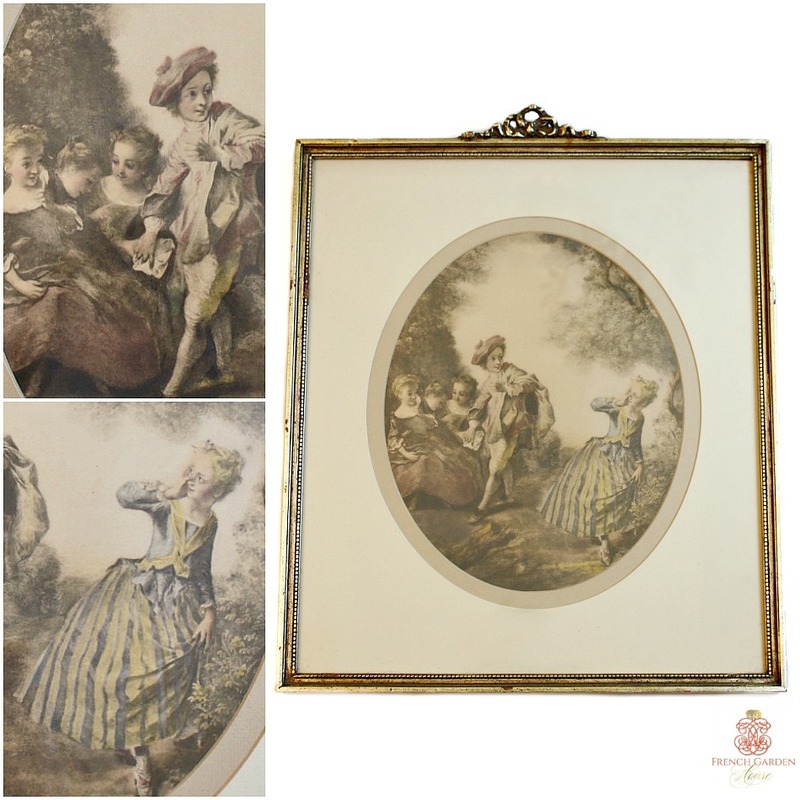 Beautiful Estate Pair of prints by Nicolas Lancret, these are 1940's prints of two charming French rococo paintings. Nicolas Lancret was born in Paris in 1690, a French genre painter whose depictions of fetes galantes or courtly amusement scenes reflected 18th century society. 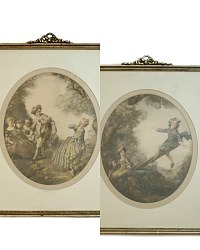 This pair of decorative and very collectable prints are not as often found as most of his other work. 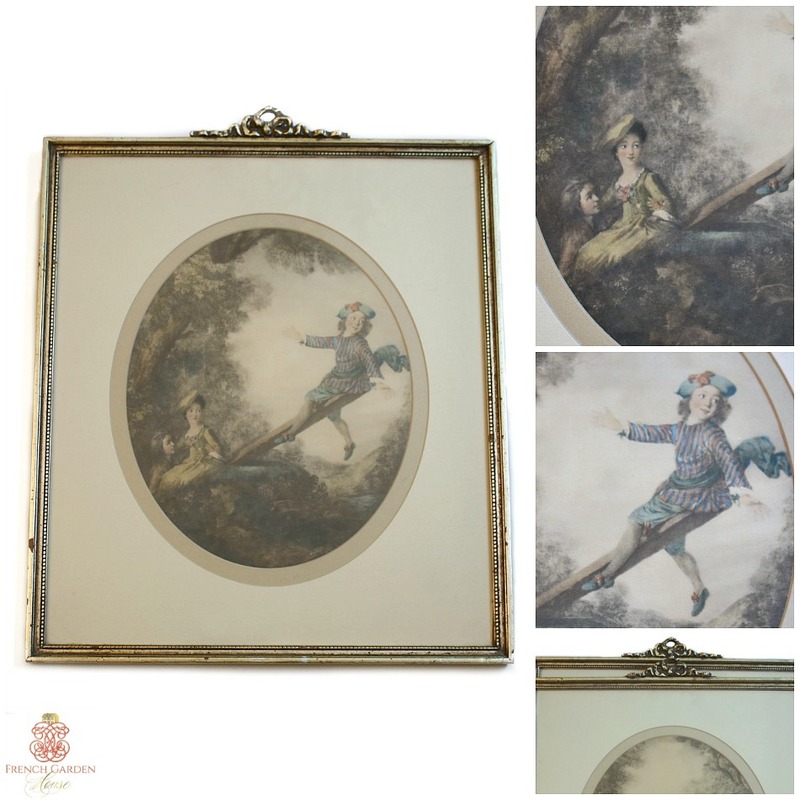 Each is centered in an oval mat, inside a gilt frame with bow embellishment at the crest. Both prints show young ladies and gentlemen, all dressed in their elaborate gowns and finery, in a lush garden setting. 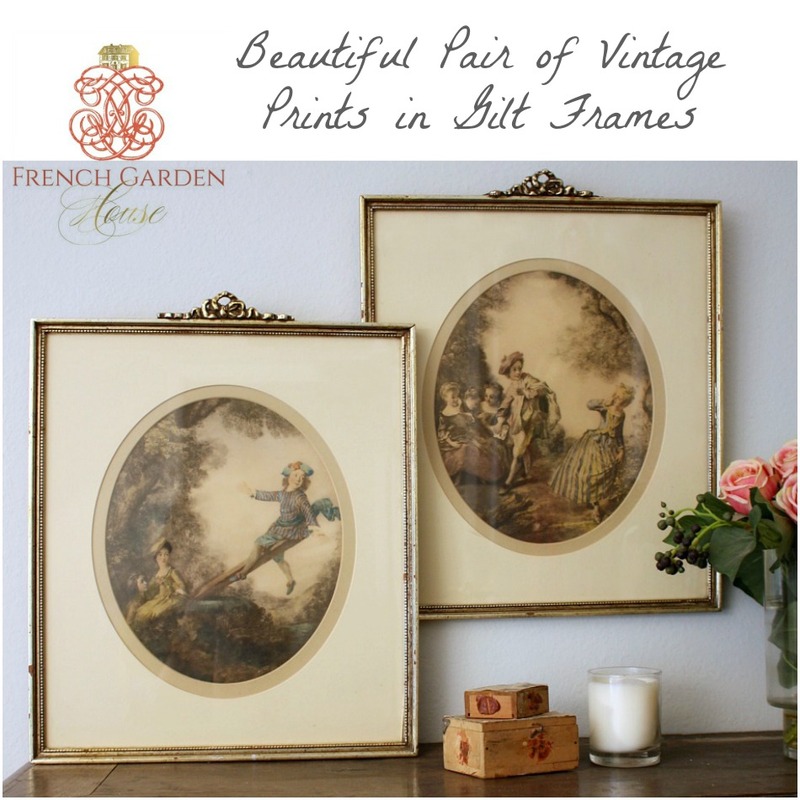 Marked N. Lancret Pinx, printed by APP Co. A wonderful addition to your French Country or Shabby French Chic rooms, will add a personal touch of glamour and elegance. Measure 17-3/4" x 14-3/4" x 1".